Hey guys, you know when you see something so funny that you just need to share it? Well this is one those times. 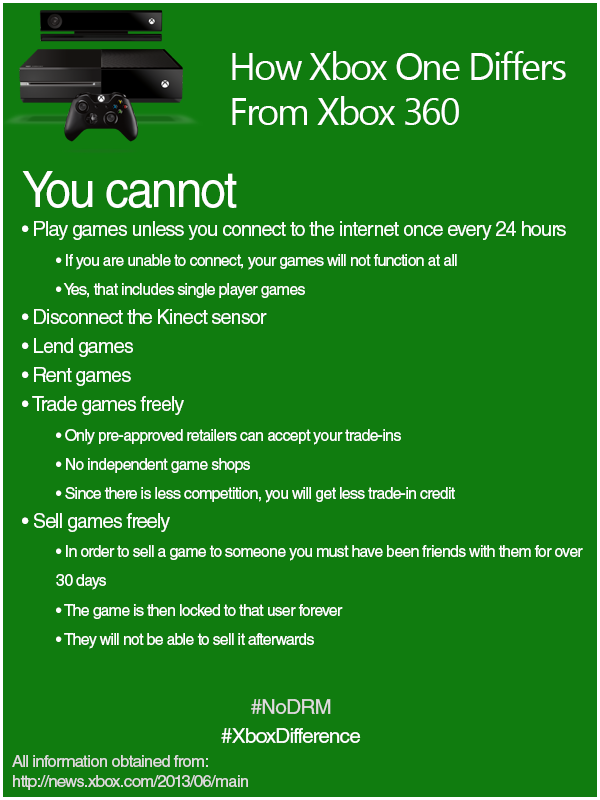 It's amazing to me that Microsoft has chosen to make the Xbox One even more restrictive than playing games on a PC (you don't need an Internet connection for most PC games) and it is a definite turn off for people that are going to choose between a PS4 and Xbox One. The Wii U looks to be the least "restrictive" of all the next gen consoles.